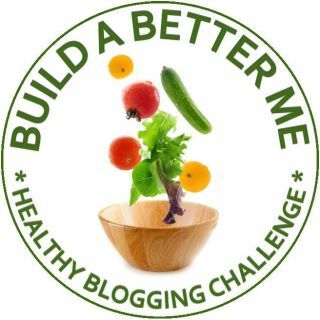 As part of my 2012 Build A Better Me Project I have been making an effort to "Eat Well".... literally. Over the past few months I have been periodically testing various products from Fresh & Easy "EatWell" line. For those of you that don't know Fresh & Easy is a UK based food store located in Arizona, Nevada and California. Their primary goal is to provide high quality, nutritious food at reasonable prices. In 2010 Fresh & Easy came out with their EatWell line, in response to customer feedback for more nutritionally balanced meals. In return each product contains 25% of the daily value for calories, fat, saturated fat and sodium based on a 2000 calorie diet. And like all Fresh & Easy products, they contain no artificial colors or flavoring, no high fructose corn syrup and no added trans fat. 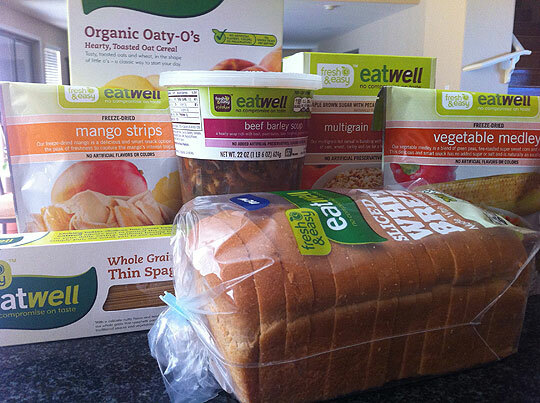 No more excuses for not eating healthy, the EatWell line includes well over 60 grocery items and fresh meal options. There is something for everyone. So what have I tried so far? And what are my thoughts? EatWell Mango Strips....mango dried at the peak of freshness. They make a wonderful snack. EatWell Organic Oaty-O's Cereal...a take on Cheerios. Kind of bland but great as breakfast bars. EatWell Fresh Soups....name says it all. Loved every variety I tried. EatWell Vegetable Medley...another great freeze dried snack. EatWell White bread. Your standard bread. EatWell Instant Oatmeal. Yum! even got my hubby eating this one.